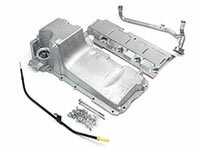 BRP Hot Rods: Moroso High Clearance Oil Pan BRP Hot Rods.com - conversion kit specialists for GM vehicles. 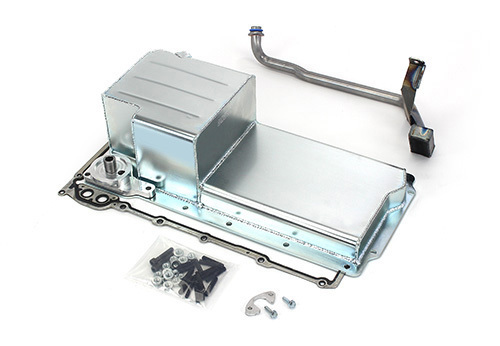 Built to our specs by Moroso this High Clearance oil pan is an alternative to the LH8 pan. Recommended for cars and trucks that have been lowered. Features 3/16" flange and 16 gauge construction to maintain structural integrity. Includes pickup tube, gasket, hardware, and pickup tube girdle.